Breathtaking Italy in September? Um, yes please! Looking for a reason to get away, learn about new agricultural products and ideas, eat some of the best gelato you've ever had and maybe brush up on your Italian skills? We've found a great excuse! pulsFOG will be exhibiting at MACFRUT 25-27 September, 2013 in Pievesestina di Cesena, Italy. Breathtaking Italy in September? Um, yes please! Looking for a reason to get away, learn about new agricultural products and ideas, eat some of the best gelato you've ever had and maybe brush up on your Italian skills? We've found a great excuse! pulsFOG will be exhibiting at MACFRUT 25-27 September, 2013 in Pievesestina di Cesena, Italy. 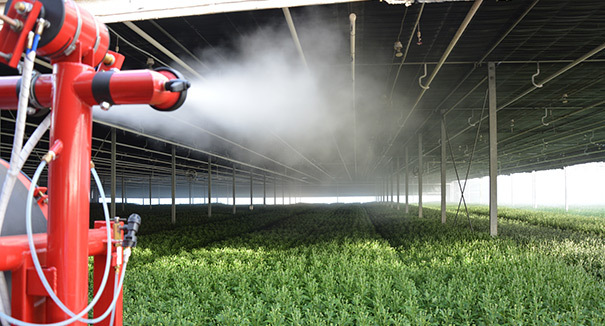 All visitors to MACFRUT have the chance to get a glance at our new pulsFOG TRACFOG 400F an even more powerful & technical cold fogging machine, specially developed for large greenhouses (indoors) and outdoor use. MACFRUT represents an international meeting point and an opportunity to exchange ideas for the professionals of fruit and vegetables, from people who work in production and trade to those who work in logistics, packaging, and in the machinery and retail sectors. MACFRUT is always focusing on common growth policies and innovation and is aimed at all the specialized professionals of the whole fruit and vegetable sector. In 2012, the MACFRUT Convention had more than 30,000 square meters of exhibition area with 806 exhibitors, all being important companies and international leaders in their respected areas. Come visit us 25-27 September 2013 at our MACFRUT booth: Padiglione C , Number 16. We have partnered with our friends at Agritalia di Guandalini Erio. Located in the South of Mantua, Italy, Agritalia di G.E. is a reseller of agricultural products and equipment, for both conventional and organic farming and provides technical assistance and high quality solutions for agriculture, livestock and civil sectors. Want to visit us at MACFRUT? Contact us at info@pulsfog.com to schedule a personalized overview of what pulsFOG can do for you and your company. We hope to see you in September at MACFRUT!